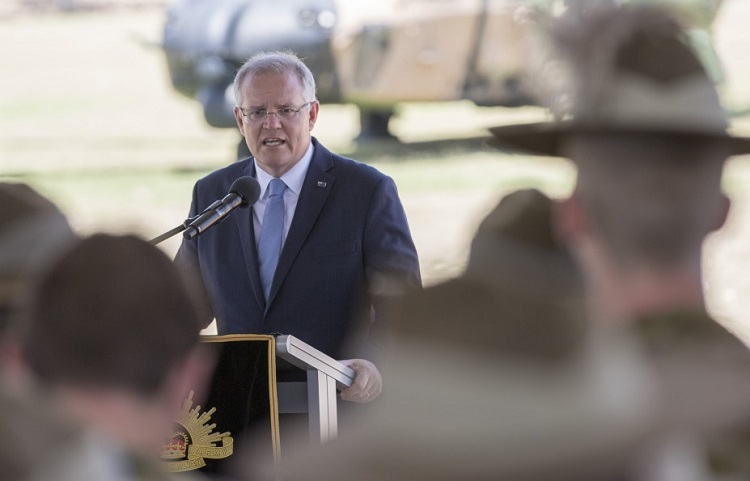 Prime Minister Scott Morrison has given an expansive speech  about Australia’s strategy for the South Pacific. And he’s backed his words with new resources—some $2 billion in funding for infrastructure and $1 billion in financial support to small and medium-sized Australian businesses to operate in the South Pacific, along with an increased ADF presence in South Pacific nations. The speech collects numerous proposals from the 2017 foreign policy white paper  together with more recent initiatives like the agreement with Papua New Guinea’s Prime Minister Peter O’Neill to develop a joint naval base on Manus Island and hold annual leaders’ meetings between Australia and PNG. It’s a practical and imaginative new strategy on issues critical to our region’s security, prosperity and people-to-people connections. The agenda laid out by the prime minister has substance. Australia will establish diplomatic posts in Palau, the Marshall Islands, French Polynesia, Niue and the Cook Islands—meaning we’ll have representation in every Pacific Islands Forum nation. There will be a new annual meeting of defence and police and border security chiefs to deepen our collaborative efforts, along with an Australia Pacific Security College and a new ADF Pacific Mobile Training Team. Most refreshingly, the strategy is not just about defence, foreign affairs and traditional security activities. The real novelty and power of the strategy are in its economic initiatives. The new $2 billion infrastructure fund will enable direct competition with Chinese infrastructure projects, but with the defining advantage that financing won’t be through soft loans with predatory interest rates. So, no debt traps here for small island states. And there’s the more imaginative $1 billion in Export Finance Insurance Corporation (EFIC) funding aimed at supporting Australian small and medium enterprises operating in the South Pacific. This support seems well targeted to address the practical obstacles that smaller Australian firms face and will help them meet the real needs of South Pacific communities. One hugely important if simple example is building small renewable power systems in remote island communities. Projects like this have foundered on the inability of small firms to obtain financing, owing both to their own small scale and to the perceived business risks of operating in the South Pacific. The EFIC financing should change this rapidly. Australian firms providing small renewable energy systems that are cheap to build and cheap to operate will end the drain on small communities’ resources from having to pay the high costs of shipping diesel fuel to remote locations. This kind of program will make a meaningful difference in the lives of many people across the South Pacific. Both the $2 billion infrastructure fund and the EFIC financing will need effective but minimal bureaucracy and complexity in administration to achieve timely results. Some elements of the strategy seem yet to be fully developed. Doing more to facilitate Australian business partnerships in the South Pacific by removing impediments like the complicated visa system and encouraging the big Australian banks to reverse the reduction in their presence would add to the step change the prime minister seeks. What’s missing here is alignment with his overall goal of ‘opening a new chapter’. Broadcasting Australian content into the Pacific is good—far better than previous government cuts to past broadcast efforts. But for this element of soft power to be effective—and valued by the people of the South Pacific—we need to do more than talk at our neighbours. We need this relationship to be one of talking and listening —so our broadcasts must involve more than Australian content and include a commitment to, and funding for, creating content with journalists and producers within South Pacific communities. For our regional family to work, we must hear as much or more from them as they hear from us. Perhaps the prime minister is leaving this further work to the soft power review  underway in Foreign Affairs. That review needs to consider not just commercial operators, but also Australia’s public broadcasters—the ABC and SBS. The final missing element is a surprising one given the known security priorities of Pacific island leaders, but wholly unsurprising for anyone who has followed Australian energy debates over the last decade. Morrison’s strategic plan is silent on mitigating the consequences of climate change in South Pacific communities. As the Pacific Islands Forum’s Boe Declaration  says, ‘climate change remains the single greatest threat to the livelihoods, security and wellbeing of the peoples of the Pacific’. Morrison acknowledged that statement in an appearance on Sydney radio in September . At that time, he noted that his decisions about Australia’s Paris agreement commitments had to go beyond domestic politics and take account of Pacific neighbours’ views. Perhaps Morrison is leaving this to be dealt with by Australian businesses enabled by the EFIC financing, and perhaps it will be real enough and happen quickly enough for Pacific island leaders and people to notice. The prime minister’s speech should form the opening chapter of a deeper conversation and deeper engagement with Pacific islands leaders. Early follow-through will be critical to both the design and the implementation of Morrison’s vision. If it all works, the big shift for Australia will be doing things with, not to, our Pacific neighbours. Michael Shoebridge is director of the defence and strategy program at ASPI. Edited image courtesy of the Department of Defence.